Most business owners would rather focus on building their business than dealing with accounting. They know it’s important to have good numbers to base decisions on. They know they need to file and pay their taxes accurately and on time. But many struggle to make it happen without getting bogged down in the details themselves. In a perfect world, companies' accounting should be accurate and up to date without requiring the business owners to think about it. They should be able to review the key metrics as needed and be confident that all other details are being taken care of. However, many business owners operate far from this ideal. In several years of helping small businesses with accounting, I’ve seen two common mistakes that business owners make. At one extreme, business owners pay too little attention to their accounting. One mistake I see at this extreme is turning over accounting to inexperienced bookkeepers. They may not realize there’s a problem until they have serious issues. They may have tax agencies coming after them for inaccurate or unpaid taxes. They may get in a cash crunch because they don’t understand their numbers. For example, a business may take prepayments from customers, which makes their bank balance look good at times. If the customers aren’t profitable, the cost of providing the product or service will eventually drain the cash from taking prepayments. I worked with a company that had grown rapidly to several million dollars per year in sales. As they grew, they didn’t invest in their accounting. They had hired and lost a series of low-cost bookkeepers and paid little attention to what the bookkeepers were doing. Taxes weren’t filed accurately. The books didn’t accurately show their profitability. It took a lot of work (and a high cost) to clean up the mess and put proper procedures and people in place. Small business accounting doesn’t have to be complicated and expensive. Most business don’t even need a full-time, experienced accountant. However, it takes someone experienced to set up the systems and monitor less experienced staff. At the other extreme, business owners try to do the accounting themselves. Even if business owners can do their own accounting, it doesn’t mean they should. They have much more important things to do, like build the business. They shouldn’t get bogged down in the accounting details. I saw this with another business that had grown to several million per year in revenue. The owner knew accounting basics, and as the business grew he continued to handle all the accounting. He was spending almost half of his time entering bills, sending checks, reconciling bank accounts, etc. The accounting was being done well, but it was taking the owner away from more important activities. I helped him set up a system in which a part-time experienced accountant trained and supervised a low-cost, part-time bookkeeper. Now he hardly has to think about accounting, and half of his valuable time is freed to build his business. There is no right way to find the balance between these extremes. It depends on the nature and size of the business. At the small and simple end, the company’s tax accountant may be able to advise a team member who spends some of their time taking care of the day-to-day bookkeeping. At the large and complicated end, some businesses may need one or more full-time experienced accountants led by a full or part-time CFO. Most small business are somewhere in the middle. A structure I’ve seen work well is to contract with a part-time, experienced accountant. This accountant could help the business’ own staff, such as an office manager, handle the accounting. Alternatively, the accountant could completely take over the accounting function, typically with his own bookkeepers. I'm biased because I provide these part-time services, but it works well in the companies I’m involved with. 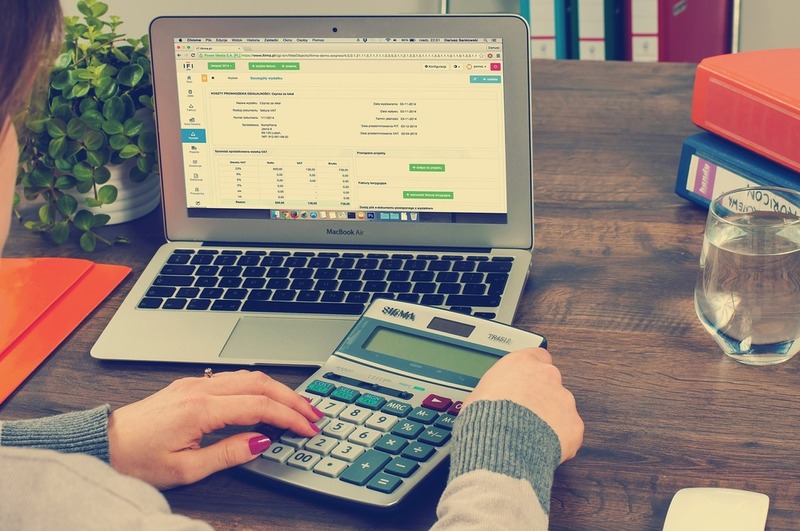 Accounting is important, and business owners need to make sure their accounting is handled properly while not spending much of their time thinking about it. Question: How do you handle your small business accounting?